The emergency entrance at Somerville Hospital. A report released Thursday identified serious flaws at Somerville Hospital and its parent company, after a 34-year-old woman dying from an asthma attack was locked outside the emergency room, but the review stopped short of blaming any individuals for the 2016 tragedy. The report criticized hospital officials for failing to share key details about the death of Laura Levis with her family and with hospital board members, and describes Cambridge Health Alliance, the parent of Somerville Hospital, as beset by internal divisions. The 85-page document is the result of an investigation by former attorney general Martha Coakley and Dean Richlin, partners at the law firm Foley Hoag LLP. Coakley and Richlin said they found no evidence that hospital leaders lied to or intentionally misled Levis’s family. They said the hospital staff who searched and cared for Levis — including a nurse who failed to spot her after looking for about 10 seconds — acted “reasonably” given the limited information they had at the time. “There was no one person who did anything wrong or who could be blamed, under the circumstances,” Coakley said in an interview. Laura Levis was left to die outside ER. Why were the doors locked? Hospital officials hired Foley Hoag to investigate after Levis’s husband, Peter DeMarco, described her life and death in the Boston Globe Magazine last November. DeMarco said Thursday that the report falls short, ignoring some important details and undermining the acknowledgment he received from hospital leaders that both system failures and individual decisions played roles in his wife’s death. “As Laura’s husband, I’m quite sure there isn’t a report in the world that could make me feel any better, or answer every question as to why Laura was left to die a mere 29 feet from the front door of a hospital,” DeMarco said in a statement. Levis walked alone to Somerville Hospital early on the morning of Sept. 16, 2016. When she found a locked door, she called 911. “I’m dying,” she said. Her call was transferred. By the time firefighters found her, collapsed on a bench outside the hospital, her heart had stopped. The report detailed the actions of hospital staff who were working that morning, including a veteran nurse. After getting off the phone with a Somerville police dispatcher, at 4:28 a.m., the nurse opened a sliding door and stepped outside to look for Levis “for about 10 seconds” before returning inside, according to the report. She spoke with a hospital security officer but didn’t ask for help with the search. She also called Levis’s cellphone. But Levis didn’t pick up; she had already lost consciousness. Levis spent several days in intensive care at Cambridge Hospital, also part of Cambridge Health Alliance, before she died. Still, the report said hospital officials “did many things right.” It said Levis received excellent care once she was located and noted that hospital officials began reviewing her death almost immediately. The public hospital system’s chief executive, Patrick Wardell, told DeMarco that he took personal responsibility for what happened. Wardell later said he will retire in June, after a four-decade career in health care. He noted “the Laura Levis tragedy” in his announcement. Coakley and Richlin said they conducted 25 interviews and reviewed more than 3,000 documents for their report. They found that Cambridge Health Alliance, which runs hospitals in Cambridge, Somerville, and Everett, lacks organizational cohesiveness and trust, with much “finger pointing” among staff, management, and board members. “The lack of cohesion within the organization has the potential for serious consequences,” the report said. Hospital officials have said they made several changes after Levis’s death, including improving lighting, signage, video surveillance, and training for employees. The report recommends that they also clarify and strengthen some of their policies, particularly how they notify families of patients who have been harmed. Some portions of the report were redacted. Jeffrey N. Catalano, a medical malpractice lawyer not involved in the case, said he was disappointed by the redactions but called the report a commendable step. “It’s important that hospitals recognize that patients’ families have a right to know what happened to their loved one,” said Catalano, a member of the Massachusetts Alliance for Communication and Resolution following Medical Injury. After Levis died, her husband wrote a thank-you letter to her caregivers. It was shared internationally and published in The New York Times. Hospital officials had already begun reviewing the circumstances around her death at the time the letter was published, in October 2016 — but they did not inform Levis’s family or the full board of trustees about the review. In fact, several hospital board members told Foley Hoag that they learned important details about the case from the Globe article two years later — not from hospital management. “This has been a challenging process. However, CHA is stronger and more transparent as a result of it,” Josh Posner, chairman of the hospital system’s board, said in a statement accompanying the report. State and federal officials previously investigated Levis’s death. In 2017, Cambridge Health Alliance officials settled allegations that they violated a federal law requiring hospitals to treat anyone who comes to an emergency room because they failed to conduct a reasonable search for Levis. Hospital officials didn’t tell Levis’s family about the circumstances that led to her death; family members discovered those details through police records and other research. DeMarco previously considered a lawsuit against the hospital system but later promised not to sue. He is pushing for new state legislation . 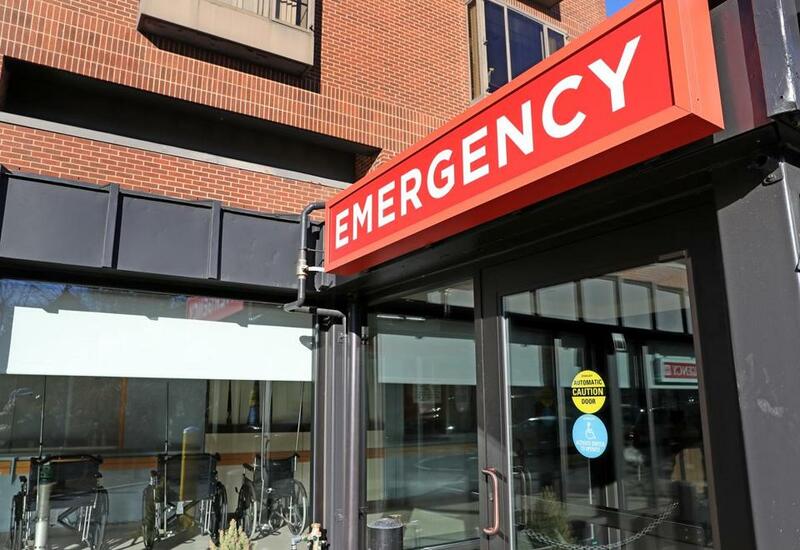 One bill would require hospitals across Massachusetts to “ensure safe patient access at all times.” This could include new rules about signs, lighting, and surveillance. The other bill would remove the limit on damages for people who sue public and nonprofit hospitals in cases where a patient is severely injured or dies. “We want to make sure this never happens anywhere else,” said state Representative Christine P. Barber, a Somerville Democrat who sponsored the legislation.